What are the principals behind NIS? NIS is based on the neurophysiological premise that the brain (not the mind) governs all of normal and optimum body function. The brain makes the corrections to the patient, not the practitioner. NIS DOES NOT treat labelled complaints, per se – rather it returns all body systems to their optimum function (for that individual). All that occurs in the physical body is subservient to the brain being a reference grid or filter for that action. Semi conduction takes place in the perineural connective tissue of the Periosteum Myofascia, Perivascular and Perilymphatic tissues.The living matrix encompasses all of these connective tissue systems including the cellular and nuclear scaffolds within them.The frequency emitted from the hands of a practitioner will vary from 0.3 to 30 hz. Such a frequency is regarded as ELF (extra low frequency). Research at the Colorado University School of Medicine indicates that frequencies between 2 and 30 Hz are vital and significant in the regeneration of nerve, bone, ligament and fibroblasts. Acupuncture meridians are low resistance pathways for the flow of electricity (Reichmanis et al 1975). The same electrical system is found in single cell animals that have no nerves per se. The research on the meridian system has been found to show that the transmission is continuous in the molecular fabric of the body extending into the nucleus and the DNA of the cell. Brainwaves are subject to entrainment from external fields such as Schumann’s resonance and other electrical influences. This becomes a major factor in the formation of Geopathic Stress and its affect on neurological activity. The body operates as an integrated being - body systems do not work in isolation. Spinal subluxation is often secondary to organic and visceral insult. Fascial restriction can lower optimal function of muscles, organs and glands. The brain will modulate physiological function where levels of tolerance have been exceeded. Hemispheric dominance is not a limiting factor by our individuality or life experience, but is limited when cortical integration is inappropriate for the patient. Blood testing shows that viral and bacterial antigens can be eradicated without medication and more rapidly than conventional drugs. Learning difficulties are directly related to an integration breakdown between cortices, cerebellum and eye movement. The limbic brain is a major factor in understanding, restoring and modulating motor control function. Gastro intestinal upset is symptomatic of neurological breakdown involving TMJ - Gait patterns and pyloric/ileocecal synchronisation. Allergies are not diagnostic but symptomatic of lowered organ and glandular enzyme potential. How does NIS obtain information from the brain? Muscles in the body should at all times be able to resist a given force. This is normal when integrity of the sensory-motor loop exists. NIS employs a series of sequential and prioritised steps to determine congruence between the brain and certain neurological centres. These centres may be derived from cortical, spinal, visceral and glandular circuits. Some centres are activated with patient participation. If neurological confusion dominates, the information referred via the sensory-motor loop will produce gross muscle weakness of any muscle elected for testing. The post central gyrus is linked to restore appropriate control of the sensory-motor loop, giving back control to the testing muscle. In doing so normal neurological activity and homeostatic mechanisms are restored to the centres being assessed. In order for optimum function to be restored, the brain must acknowledge and reset the circuitry. To do this, contact with certain anatomical and cortical locations are made, together with a very defined area of the neuroanatomy called the post central gyrus. The post central gyrus is known as the message ‘receive and dispatch’ centre of the brain. When this area of the cranium is touched, merkels tactile disks associated with slow adapting receptors are stimulated. These mediate sensations which project centrally via the dorsal column medial lemniscus pathway (DCML). This is a neuro-pathway directly associated with the post central gyrus. Try closing your eyes and have someone touch just one hair on your head. You will be able to tell exactly where they toughed. That is the post central gyrus that allows you to relate to the sensation and its location. The same principle applies with NIS treatment. It is the post central gyrus that knows or ‘acknowledges’ the relationship between the anatomical contacts the doctor is holding. There are no electronics or instruments involved with NIS. Yes, NIS does use muscle testing as a benchmark to retrieve data from the brain. But that is where the similarities between NIS and other modalities stop.NIS uses protocols centred around neurological processes that consult the brain to PRIORITISE the INDIVIDUAL needs for the patients’ health. Instead the NIS protocols are about bringing “abnormal” activity back under the brain’s control. Once the brain understands the problem, THE BRAIN MAKES THE CORRECTION, NOT THE PHYSICIAN. Do I need to be familiar with muscle testing before attending an NIS seminar? Prior exposure to muscle testing is an advantage but definitely not essential to integrating NIS successfully in to your practice. Muscle testing is taught at the beginning of the Module A Seminar. NIS works from a very precise neurological platform where the tests are such that the practitioner will very easily be able to know whether the test is positive or negative. A testimony to the fact that one need not have muscle-tested prior to attending any NIS seminar is that the NIS Seminar program attracts professionals from many diverse health care professions such as: veterinary, dentistry, medical doctors and phd's - where they have never been introduced to muscle testing before. Many of these have gone on to build very successful practices. What if I find muscle-testing difficult & confusing? Muscle-testing is taught at the beginning of NIS Module A. NIS works from a very different platform for muscle-testing than other modalities. It works from a very precise neurological platform. With that in mind, there is no confusion or vagueness with muscle-testing in NIS. Practitioners can easily test the difference between weak and strong by releasing contact from the anatomical points and test again i.e. : feel the difference. For those that have had mixed results in the past: The first 2 protocols presented in the Module A seminar, address geopathic stress, and cortical integration (neurological disorganization, where the left and right brains do not work in unison). Being ‘cleared’ of these 2 issues in themselves is IMPERATIVE, before the practitioner can effectively test a patient. Once the practitioner has been cleared for these 2 things at the seminar, they will find muscle-testing easier. What makes NIS different to other Modalities? What is the difference between NIS and TBM? TBM involves a rather random selection of points that are controlled/ designated by the practitioner. NIS addresses the physiology as it is controlled by the brain. In TBM the practitioner holds body points and tests a muscle E.g. : a point that may be termed in TBM as an "allergy point" is held while a muscle is tested. From a NIS perspective, an allergy is only a symptom of immune system dysfunction. The brain cannot relate to a 'point' as being diagnostic of a symptom.But....the brain can relate to the reasons why a gland/ organ is dysfunctional causing the symptom. (Glands/organs through poor function cause the allergic reaction. )NIS determines from the BRAIN and not the BODY: Why a gland is dysfunctional, why certain factors need to be addressed in priority to resolve the symptom of the allergic reaction. NIS therefore, is a system to address body systems from the brain. It does not address body symptoms from the body.Here is another example: TBM activates the spine to 'switch on' a gland. E.g. : liver is treated by activating Thoracic 2, Thoracic 5, and Thoracic 8. Consider this…….What if the spine is already sub-luxated at these levels? What if the liver is infected with a virus or bacteria? What if the segments mentioned are restricted by the Dura? What if one muscle attached to T8 is weakened by trauma and torsions that spinal segment.All these questions add up to complete confusion when the spinal segment is activated or manually adjusted to treat a gland (in this case the liver) Why? No priority was established from the brain to determine/address the cause. What is the difference between NIS and Applied Kinesiology? When we stimulate neurovascular - neuro lymphatic reflexes…. run meridians… manipulate with nutrition etc. we are failing to realise that we have a 'hardware' problem! The practitioner is endeavouring to take responsibility away from the brain. Today it is crystal clear. If the brain doesn't have optimum control of every function, the body will not heal. Why do patients need continual adjustments? Simply…. the brain has never been aware of the problem. When your car tyres wear unevenly is it logical to move the right front tyre to the left rear etc? Or do you get the wheel alignment checked. It would appear that there is a lot of adjusting being done, but what are we really adjusting? Repeated attempts to treat the same problem are superfluous when the brain has made the adjustment. That is what NIS is all about. Computer software is only as good as the hardware that drives it. The software is likened to the body and the hardware the brain. The analogy remains the same. AK: If a strong muscle weakens by challenging an area of possible somatic dysfunction, the practitioner will respond by INITIATING A FORM OF TREATMENT deemed to be appropriate. E.g. A spinal segment is found to be causing nerve entrapment. By physically moving the segment to find the position of aggravation, the practitioner can then determine the direction to manipulate and free the subluxation. The determination of the problem in this case is presumed to be the spinal segment. Surprisingly, research over the last 16 yrs can now demonstrate that spinal subluxation is the least common finding relating to structural pain. Glands and organs and their associated meridians dictate a higher priority of control of muscles controlling the spine. NIS: If a strong muscle weakens by challenging an area of possible somatic dysfunction, the practitioner DOES NOT INITIATE ANY TREATMENT. The DATA isolated by the muscle test is linked to the brain. The practitioner becomes a facilitator. The brain will immediately initiate the appropriate course of corrective action @ 400Kph. With NIS the practitioner would have already checked a sequential chain of command to determine if such a finding is a priority. The brain has a specific priority of accepting - correcting pertinent to each individual. Because of this specificity the correction and outcome is always 100% appropriate. AK: Challenges (i.e. pushing joints - pushing spinal segments – pushing tissues) and then testing a muscle to see if it weakens. If it does, AK deems it appropriate to continue to manually adjust the joint, the spinal segment, and/or the tissue in the direction that caused a strong muscle to react in weakness. NIS: Determines WHY the joint, the spinal segment, and/or the tissue were in that position in the first place! When the reason is determined, the brain can recognise the 'breakdown' and resume control, the correction is immediate. No adjustment is manually required. What is the difference between NIS and emotional techniques? 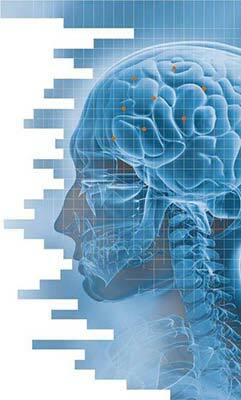 NIS developed by Neurolink, works with the Neurolink philosophy. That philosophy is diametrically opposed to emotional techniques that use verbal interrogation as a basis to change physiological parameters. The reasoning is based on current understanding of amygdala/ hippocampal function. Briefly the auditory-thalamic pathways have direct access to the central nucleus of the amygdala that is responsible for implicit memory function and storage. This pathway operates at twice the speed of those thoughts that access the cerebral higher thought centres for rational interpretation. When the brain is challenged quickly with negative emotional suggestion, the response is characteristically reflected by a weakened muscle response. This is normal. If the patient is given a second to rationalise about the 'statement' the muscle response will be strong. The brain operates on a 'global cerebral collective' and not a limbic connective. With NIS we are acutely aware of the emotional component in the bigger picture of health. Procedurally the limbic brain is considered and integrated as a vital part of the NIS assessment protocol. How do I know my diagnosis is correct? The NIS system is brain-driven and reliant on some 100 billion neurons. While these numbers are mind-boggling, the reality is this:The 21st century healthcare continues to reflect a "labelling" mentality: Sciatica, eczema, tennis elbow, fybromyalgia, RSI, asthma, shin splints, runners knee, ADD (attention deficit disorder), chronic fatigue syndrome to name a few. Are you happy to 'label' these symptoms, just because of diagnostic uncertainty? Only the patients’ brain can provide the information required to make a 100% accurate diagnosis on their health problem. Today excellent laboratory screening tests and scans are available. While these are helpful, they frequently fail to determine the real reasons why the body's immune and defence mechanisms have failed.Brain Phenomena:- The brain operates within a template that dictates your unique, individual, 'normal'. - Operates at 400 kilometres per hour, controlling 300,000 enzyme functions per minute. - Contains 100 billion active neurons, each with some 20,000 connections. - Interprets information from 260 million light receptors in the eyes. - 280,000,000,000,000,000,000 file capacity for thought processing. - It is holographic Your patient's brain will assist you in making the most accurate diagnosis on your patients’ health! Why does your patient's body breakdown? The meaning of stress, both physical and mental, and how each of us reacts to it, will vary. How it affects our individual health will vary. Our tolerance levels to that stress will vary from each others. When their level of tolerance is exceeded, their body is in inevitable danger.For example: In a tennis game, when you lunge for a difficult shot and stress a thigh muscle to the point of intolerance, the brain will intervene. The muscle's ability to contract now becomes limited and muscle damage is minimised.What happens now? The body endeavours to compensate for the weakened thigh muscle by shifting responsibility to muscles of lesser strength. This leads to potential instability of your spine, pelvis, knee and foot. Referred pain is the result of this weakened 'link' in a chain of command. NIS is also similar to the electrical circuits in a home. When the amount of power to a specific circuit exceeds supply, a fuse will blow. Whilst power is lost to that circuit, the internal wiring system in your home is still protected. Similarly, your brain will recognize when maximum tolerances within any of the body's systems have been exceeded. When muscles, glands, and organs are taken beyond a given threshold, they become potentially ineffective. Power failure in the home will not be remedied by just renewing the fuse. Firstly you have to determine, what is the cause of the overload?In just the same way, NIS identifies the root cause. Only when the faulty pathway is recognized by the brain, can optimum function of your patient's body be restored. How long does an NIS treatment take? In the NIS Seminars, practitioners are introduced to prioritised treatment steps. This includes a "screen test" and then if applicable, corrective procedures. Each patient must be taken through the complete system. Time spent with each patient is dependent on your findings at each of the sequential steps. Of course each patient is individual with a different case history. On average it will take a practitioner 20-30 minutes take a patient through the complete NIS system. As practitioners use NIS more and more in practice they will become faster. The beauty of NIS is that you can adapt it to any practice structure. YOU do not need to change for NIS.Practitioners that work on quite short appointment times will work through as many of the steps as time allows, and will continue on at another visit. A complete session may be completed over 2 or 3 visits. Other practitioners choose to allocate larger time frames specifically for NIS sessions.As you utilize NIS with more patients you will become more proficient with the application of the protocols. The "screen tests" themselves take only a few seconds. How long can I expect changes to last? Results with NIS are fully sustainable, until such time that the patients' individual tolerances are exceeded. These are pre-determined physical, emotional, chemical, and pathological tolerances. Many areas of physiology are correctable once only. That means there are certain screening and corrective protocols that NIS would only need to be addressed once. They should not present themselves as needing correction again. For many areas, it would take concussion, electrical shock, trauma or viral pathology to reverse treatment. Once your brain knows what a banana smells like, why do you have to keep training it! i.e. : once the brain knows about and understands a problem, it then has control to fix it and keep it functioning properly. There is no need to keep telling the brain about the problem. NIS is concerned with addressing the primary causes behind symptoms in the first place, so that complaints will be eradicated and the symptoms not recur. How often would I need to see a patient? This is really dependent on the nature, complexity and how long your patient has had their complaint. Let's refer back to the principles of NIS for a moment. Once you have run the entire NIS system with your patient, and all the screen tests show up clear, then you would schedule time for maintenance check-ups only. Our bodies need servicing and need all the systems checked just like you put your car in for servicing on a periodic basis. We recommend patients visit quarterly for a 'wellness check'. Some of the findings and corrections at a 'check up' can prevent more long-term, serious complaints from developing. Depending on how you choose to structure your time frames for NIS visits, you will find that once you have run the system with your patient (which could in total time be approx 45 mins, possibly broken down over 2-4 visits depending on the practitioners choice). A re-evaluation of your findings a couple of weeks later, maybe all you need to do. Are taking pulses part of the Neurological Integration System (NIS)? No. Pulse taking, as in Chinese pulse diagnosis is not required. The pulses can be used as correlation points for the organs/glands. This is simply a matter of locating the contact position of the pulses on the inside of the wrist. One does not need to listen to them. What do I need to study before attending the Module A Seminar? You should be well revised on anatomy and physiology including neuro-anatomy. Of particular reference in the Module A seminar is the cerebellar brain, limbic brain and post central gyrus. Revising purpose and function of these neuro-anatomical areas could help you to further understand and appreciate how the NIS system works. You do not need to bring anything specific. You will be provided with a course workbook, for which there is space to write additional notes. We do recommend you bring your own additional paper and pens for notes. Like any learning situation, it is important you come comfortably dressed, well rested and ready to learn. What will I be able to do in practice after the seminar? The Monday morning following the seminar, you will have the Module A screen tests and corrective protocols to use immediately on your patients. You will have practiced these already throughout the weekend. Initially you will find you may refer to your manual, but as you repeat these procedures on different patients, you will learn them well and become faster at 'running' the NIS system. As NIS is sequential, you will be able to incorporate the 1st couple of steps into patient visits already scheduled on Monday morning - to start with you can use it along side the other modalities you are currently using. How do I get started with NIS in practice? Identify which patients might benefit from an NIS treatment. Approach ONE: Start with new patients who have no prior expectations/ strong preferences of the modalities of treatment you provide. Choose patients who are very young, old, disabled or acute patients where other modalities may be too invasive, or uncomfortable. Then introduce your regular patients to NIS, by treating complaints they would not normally expect to have treated by your existing treatment methods.Approach TWO: You may decide to offer NIS to all patients – but start by just checking the first 4 protocols with each person. As you get faster and this takes less time, add in additional protocols. Dr Phillips works very closely with a small team of global trainers.